Kartik Aryan is perhaps one of the most anticipated young talents from B-town. The young actor has gained a lot of success under his name in a very short span of time. His last film ‘Sonu Ke Titu Ki Sweety’ was big box office success and it crossed 100 Cr mark. He is also very famous for his performances in the ‘Pyaar Ka Punchnama’ franchise directed by Luv Ranjan. He is talented and he is good looking. In other words, he is in demand right now. Actress Sara Ali Khan stated in an interview that she would love to hook up with Kartik Aryan. But Kartik hooked up somewhere else. Kartik was being considered to be a part of ‘Student of the year 2’ but then he was not able to grab that film but what he grabbed was a relationship with the female lead of the film. 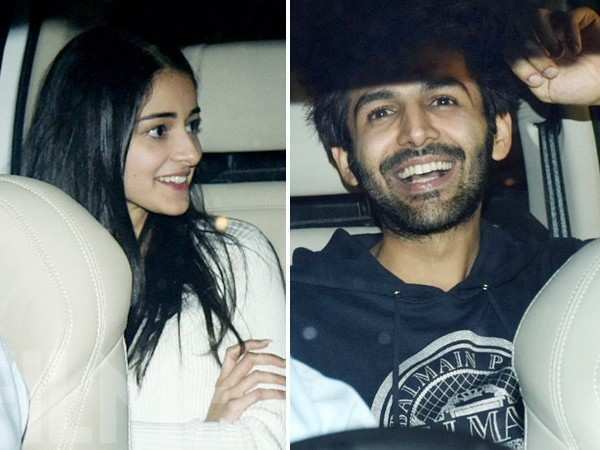 Ananya Panday, the daughter of Chankey Panday is all set to make her Bollywood debut with Dharma movies produced ‘Student of the year 2’ and the more important thing is that she is dating Kartik Aryan. Both have been spotted many times at different restaurants having lunch or dinner. Both have been attending parties together and even the media have spotted them at airports as well. There has been no official acceptance or decline about the relation, but something is cooking between them for sure. Currently, they both are working on different projects but as per the sources, Kartik and Ananya might be doing a movie soon which will be produced by Karan Johar. We hope to see them together soon. Next Posts Why Akshay will beat all the khans in 2019?